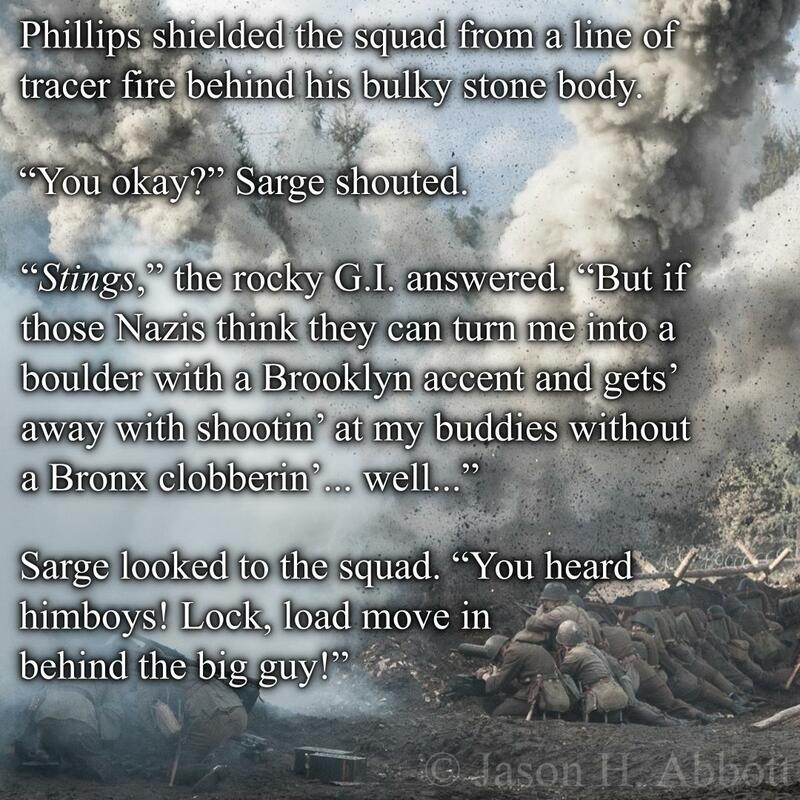 Phillips shielded the squad from a line of tracer fire behind his bulky stone body. A motivational speech if I ever heard one! Great feel of gritty reality! Well, aside from the fact that he’s made of living stone. ;-) Thanks!